There are many reasons that your dentist will advise you to get a crown. You may have a grossly damaged tooth that is too weak to remain by itself in the mouth. Or you may need a crown for your front teeth for aesthetic reasons. A tooth treated by a root canal also requires a crown to strengthen it. Whatever the reason is, the procedure of having the crown placed in your mouth is standard. Today, we will learn about the dental crown procedure, different types of crowns, and how to care for your crown. A dental crown is a prosthetic device that restores the missing structure of the tooth. It is made up of a material such as metal, porcelain, ceramic or combination of metal and porcelain. A dental crown is permanently cemented to the tooth surface and it is a type of tooth restoration that fully covers the portion of a tooth. This artificial crown forms the tooth’s new outer surface. 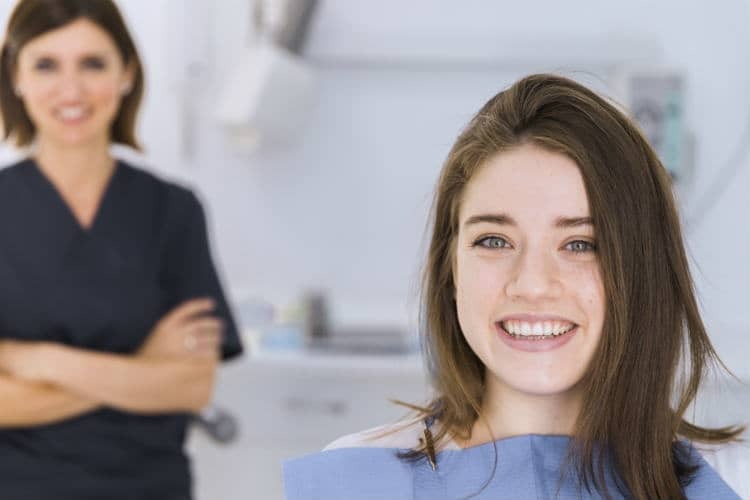 Like many other dental procedures, getting a crown is usually a procedure that requires multiple dental visits. Once you decide to get a crown made for your tooth, you may have to zero down on a material for it in consultation with your dentist. The clinician may refer to the previous dental x-rays that you might have of the tooth. In the first appointment, the dentist will work on the tooth on which the crown will be placed. To fit the crown accurately into occlusion, the existing tooth structure is slightly reduced. The extent of this reduction depends on the type of crown. (3) This accommodates the thickness of the crown so that you would be able to bite properly. If the tooth is broken or extensively damaged, the dentist will first restore it with dental cement to regain the lost bulk. After modifying the tooth, your doctor will make an impression of all your teeth using an impression material. The lab technician uses this impression to make a cast and to make your permanent crown. To protect the prepared tooth, the dentist will cement a temporary crown until the next visit. On your second visit, the permanent crown is ready to be cemented. After checking the fit and the bite, your dentist cements the crown using a dental material. 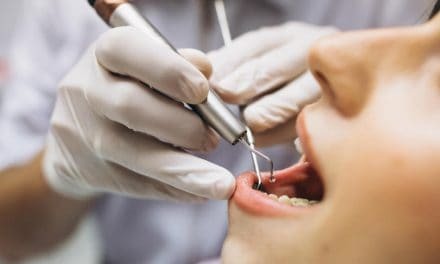 The doctor may ask you to bite and apply slight pressure for a while to ensure proper sealing of the crown to the teeth. A few things that the dentist checks during cementation include the margins of the crown around your gums. (4) They should not impinge on the gingiva and cause trauma or bleeding. The crown should also be fabricated in a manner which does not form any interdental gaps that aren’t needed. These spaces will only increase the accumulation of food particles in the area. Crowns are available in different materials. 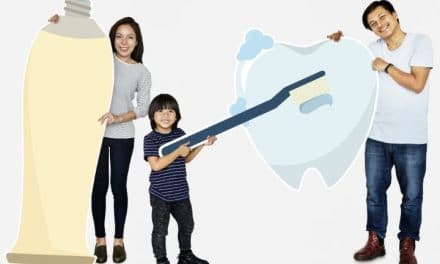 The type of crown that you get depends on the position of the tooth in your mouth, the condition of the tissues surrounding the tooth concerned and of course the patient’s economic capabilities. These are the most durable types of crowns; therefore they are best suited for the molars. Another advantage that base metal crowns offer is resistance to corrosion, which is very important in the oral environment. To prepare to receive a metal crown, the tooth preparation needed is very minimal. 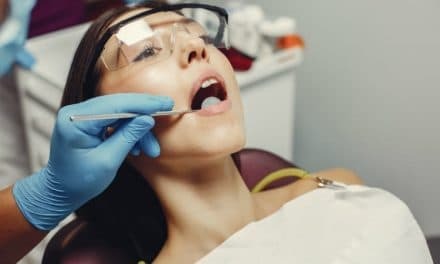 The drawback of these crowns is that they are aesthetically unfavorable and cannot be used for front teeth, or sometimes even premolars if your smile line is broader. Ceramic crowns are the best option for front teeth. They match to mimic the natural appearance of the teeth and are available in many shades. However, ceramic crowns are not advisable for molars, since they are not capable of withstanding stress. They also require more tooth preparation as compared to metal crowns. These crowns, often called PFM crowns are a combination of porcelain and metal. The bulk of the crown is made of metal, giving it strength whereas the outermost layer is that of porcelain, giving it an aesthetic appearance. These crowns combine the advantage of metal crowns and ceramic crowns and require moderate tooth preparation. Once you have a crown in your mouth, you will feel slightly uncomfortable in the beginning. Remember it is a foreign object, and your natural tissues will require some time before adapting to it. For the first few days, avoid biting into something hard on the crown. When it comes to sticky food, avoid it altogether, as these foods can dislodge the prosthesis. Keep the area clean and free of any debris at all times. While brushing, brush well near the crown and remove any food that may be stuck there. If any debris gets accumulated between the margins, you are likely to develop pain in addition to a foul smell from the mouth. If you experience any significant problems with the crown, like pain, bleeding or dislodgement, visit your dentist for a check-up. Getting any prosthesis in the mouth requires a right amount of patient co-operation and patience. However, a finely made dental crown can last for a long time if you maintain it well and follow your dentist’s advice on caring for it. NextHow is Network Performance Measured?